It sounds like a place you might want to avoid, and perhaps in the past that might have been true. The canoe trail through Shipyard Island in the lagoon traces the remnants of mosquito control canals dug in the 1940’s and 1950’s in an effort to control mosquito populations in the area. 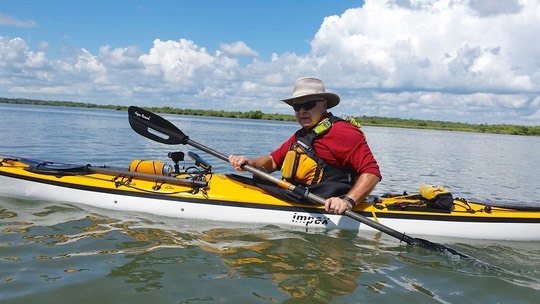 After these canals were no longer used for mosquito control, they were developed into an interesting paddling trail, no motorized vessels allowed! To read about the refurbishing of the Elaho 16, click on the links below. Much of the information presented here, for your information, will be about what you could do at the Mosquito Lagoon, rather than what we actually did. Here’s the story. 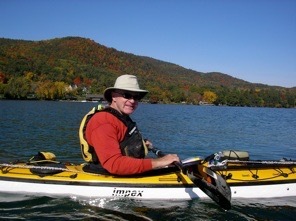 I heard through a paddling friend, Gus Bianchi, that another mutual friend, Andrea Conover, was looking to buy a good used sea kayak. I had paddled with Andrea on a Paddle Florida trip down the Rock Springs Run and Wakiva River to the St. John’s River several years ago. Andrea was interested in the boat, so we agreed to meet about halfway between her home near Jacksonville and mine near Vero Beach so she could try it out. 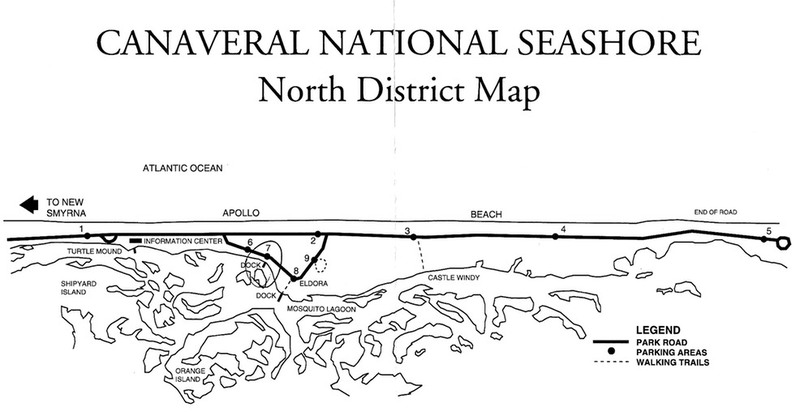 We met at Canaveral National Seashore, North, at the Mosquito Lagoon. I met Andrea and her friend outside the National Seashore entrance and together we headed for JB’s Fish Camp. We put in at the fish camp which is just North of the National Seashore, and headed south along the Eastern lagoon shore. 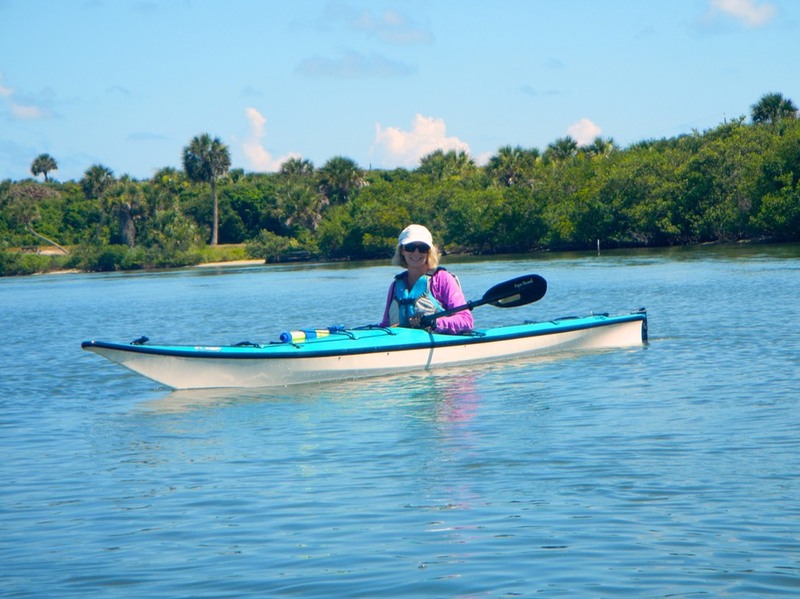 Andrea paddled the boat I was selling to see if she liked it and it met her needs. We paddled South along this shore for about an hour and forty-five minutes, then retraced our steps back to the fish camp. We saw several manatees playing in the Lagoon that day. We never got to the entrance of the Shipyard Island Canoe Trail which was too bad, as it looked really interesting. 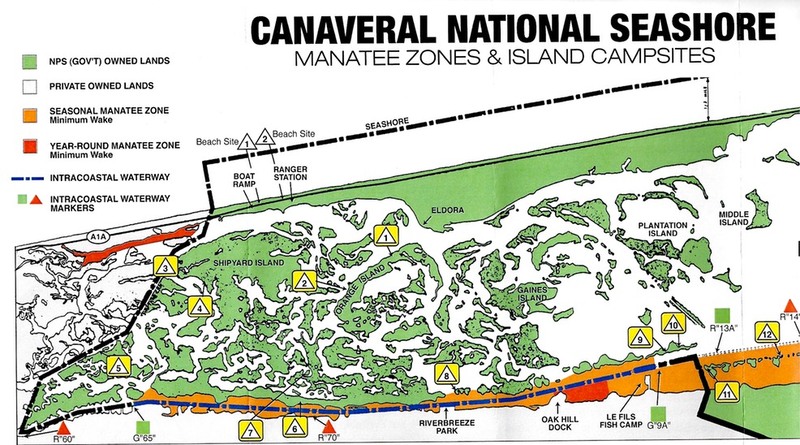 The canoe Trail winds through numerous waterways left over from mosquito control efforts of the 1940’s and 1950’s, and is off limits to motorboats. 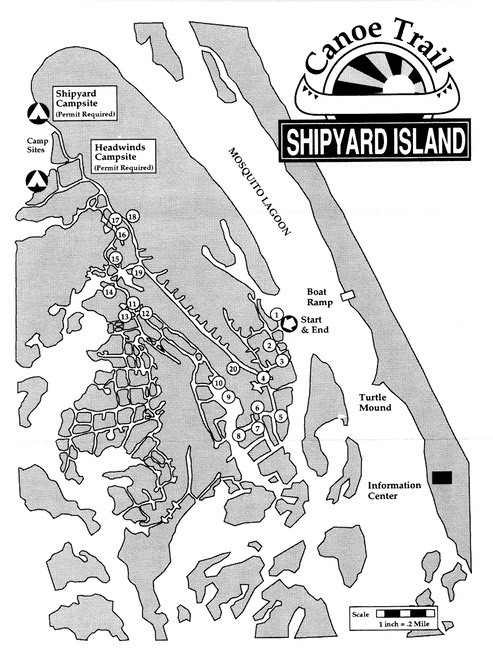 I’ve attached information about the trail and camping on Shipyard Island for your information. Oh, and Andrea bought the boat!